Victim of anti-Semitic attack was Israeli Arab who wore a kippa to see if it was safe for Jews to do so on streets of Berlin. 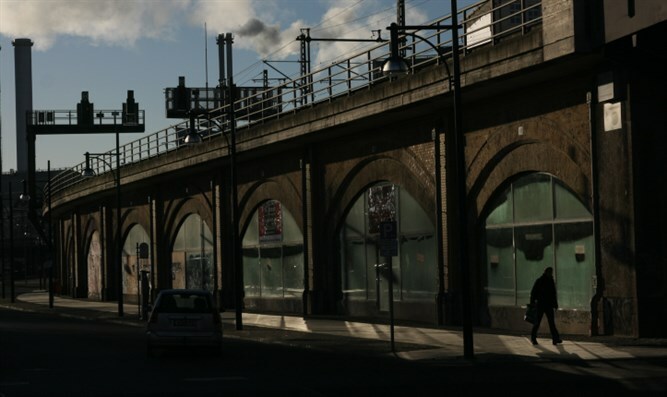 German police said Thursday they had arrested a suspect in an anti-Semitic attack against two men wearing traditional Jewish skullcaps in central Berlin. A video of the assault, filmed by one of the Israeli victims, went viral on social media and sparked widespread revulsion amid fears of a resurgence of anti-Semitic violence, including from Muslim migrants. Police said that a 19-year-old suspect they had already identified from the footage and witness statements had presented himself with a lawyer and would face a judge to be held on assault charges. The Bild daily identified him a Palestinian Arab from Syria named Knaan S. who was registered at a refugee home in Brandenburg state outside Berlin but was most recently living "out of a suitcase" in the capital. The video shows the attacker, one of a group of three men, shouting "yahudi", Jew in Arabic, and lashing out at his victim with a belt. In a twist to the story, the author of the video tape, a 21-year-old student called Adam, said Wednesday that he is an Israeli Arab. He told broadcaster Deutsche Welle that he wore the Jewish kippa gifted to him by a friend to see whether it was safe to do so on the streets of his upmarket Berlin neighborhood. He said he uploaded the video "for the police and for the German people and even the world to see how terrible it is these days as a Jew to go through Berlin streets". A number of high-profile incidents in recent months have raised alarm bells about a possible resurgence of anti-Semitism in Germany from both the far-right and a large influx of predominantly Muslim asylum-seekers since 2015. The latest incident was described as a "disgrace" for German democracy by a spokeswoman for Chancellor Angela Merkel. Foreign Minister Heiko Maas said Germany "bears a responsibility to protect Jewish life" more than 70 years after the end of the Holocaust in which the Nazis murdered six million European Jews. The head of the Central Council of Jews in Germany, Joseph Schuster, told AFP he was "shocked" by the incident, noting that it had occurred in a "bourgeois" area and not in a "majority Muslim quarter". "This case must be met with the full force of the law," he said.